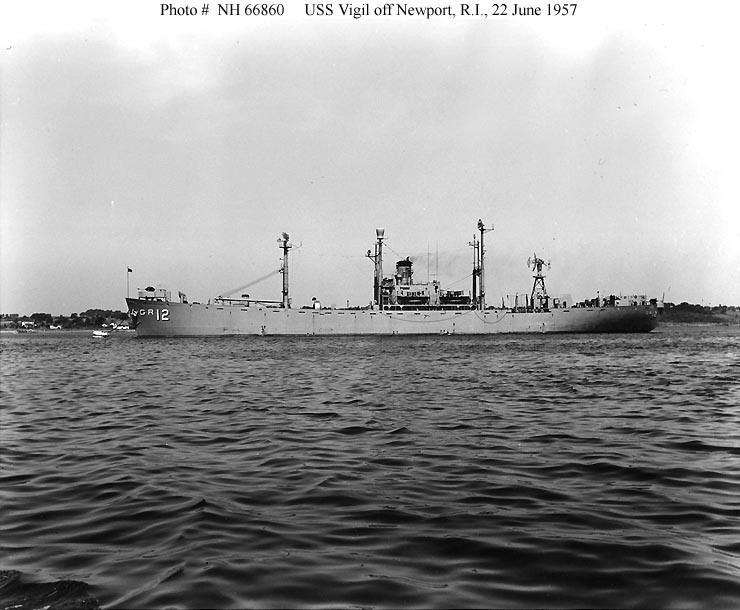 ↑USS Vigil (YAGR-12). Off Newport, Rhode Island, 22 June 1957. Courtesy of the Mariners Museum, Newport News, Virginia. Ted Stone Collection. U.S. Naval Historical Center Photograph.